Philips announced a new addition to its Hue lighting lineup at IFA today: White and color LEDs mounted on flexible strips. An adhesive backing on the Hue Lightstrip Plus lets you mount these two-meter strips onto just about any surface, and you can chain multiple strips together, up to a maximum of 10 meters. 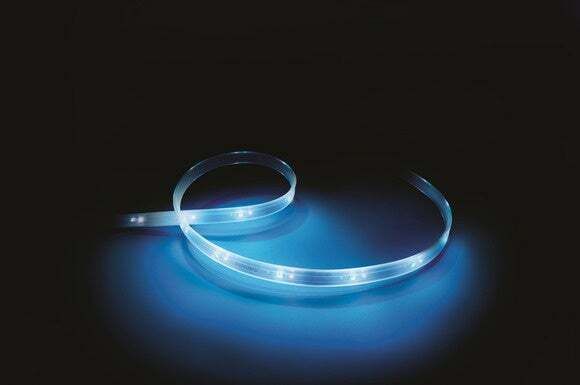 As with Philips Hue LED light bulbs, the LEDs in the Lightstrip Plus can emit either white or color light with up to 1600 lumens of brightness. You program the lights using an app on your smartphone or tablet. In addition to Philips own software, the products in its Hue line can interact with as many as 300 third-party apps, including one that synchronizes with your TV, so that the room lighting changes in accordance with what’s happening on screen. 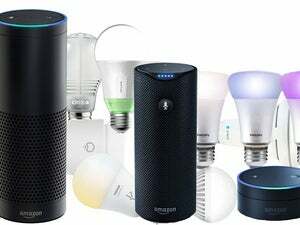 Why this matters: In spite of their high price tag, Philips’ Hue product line has been one of the more successful LED lighting lineups to hit the market. LED strip lighting is nothing new—Belkin teamed with Osram earlier this year to produce the Lightify Flex RGBW that’s compatible with Belkin’s WeMo smart-home ecosystem. But at $120, that kit is quite a bit more expensive than the $90 Philips Lightstrip Plus (extension strips cost $30 each). On the other hand, Philips press materials don’t make it clear whether or not its light strip includes a Hue controller—Belkin’s kit includes a WeMo Link. Adding a Hue Bridge to the price of entry will erase that advantage. 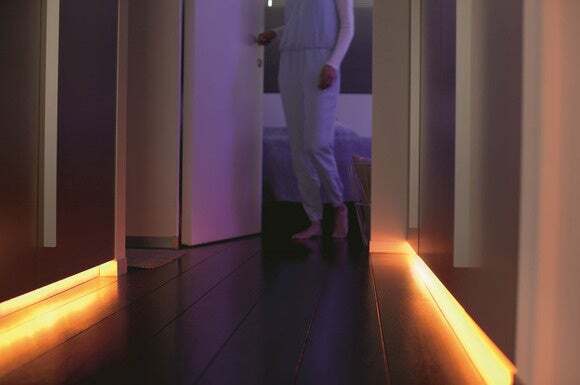 The Philips Hue Lightstrip Plus will be available for purchase in October.